RADIANT RUFFING!!! 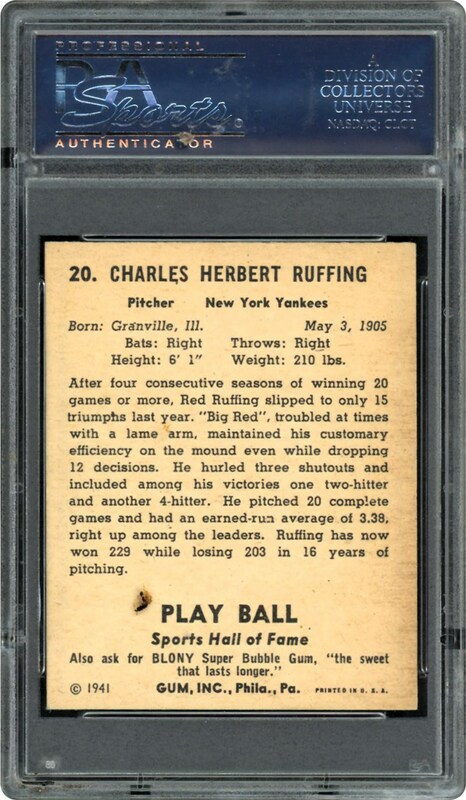 Only 5 grading higher than this Hall of Fame PSA 8 of Red Ruffing. Strong Card. CATALOG CORRECTION. Image in catalog is incorrect. 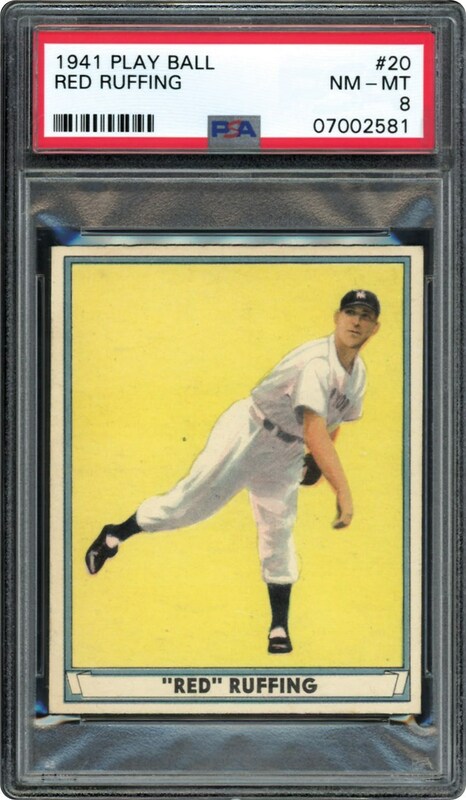 This card is a PSA 8!! !